A small group of dedicated performers from BCS entertained the residents of Wheller on the Park Retirement Village on Sunday 15 July. 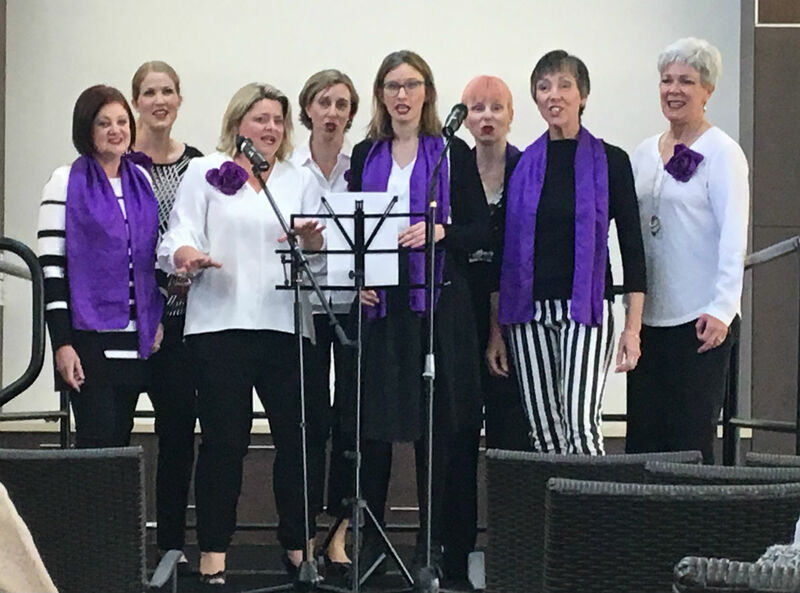 Our two quartets – Kit ‘n’ Kaboodle and Sparkling Blends – each sang three songs, and also joined forces to sing another four songs as an octet. BCS’s resident actor/script writer/visual leader Liliana was the day’s MC, and also performed a number of songs of her own, with her trusty ukulele! 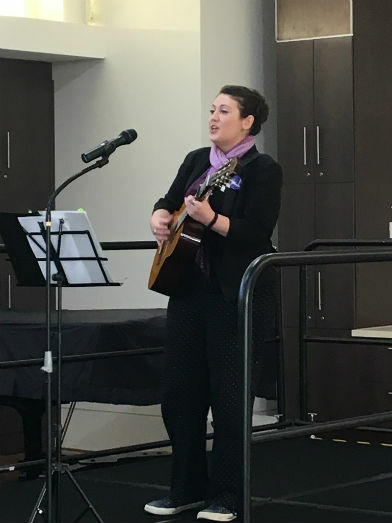 During Liliana’s set, the audience was invited to sing along to a selection of well-known songs, with some audience members enthusiastically playing maracas, tambourines and castanets. Approximately 60 residents attended the performance, and the feedback they gave was very positive. Many thanks go to the quartets and Liliana for giving up their time to prepare and perform, and to Events Coordinator Suzi for organising the engagement.